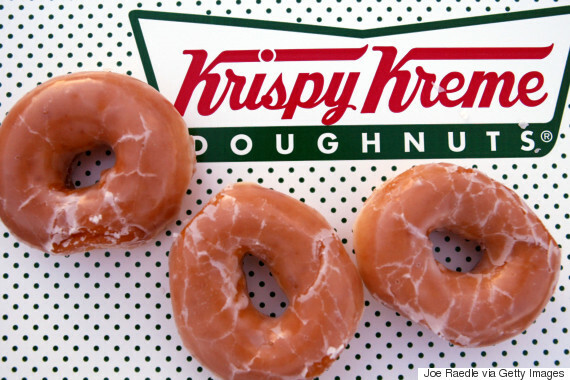 6 World Famous Original Glazed doughnuts for only P78! - Hello! Welcome to my blog! 6 World Famous Original Glazed doughnuts for only P78! Attention Krispy Kreme fans, today is Krispy Kreme's 78th Birthday, so, they are sharing their half-a-dozen box for only P78! 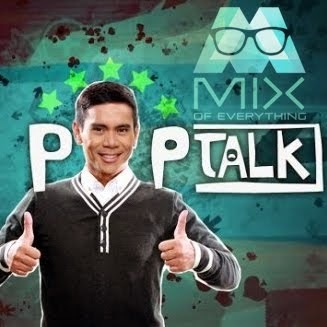 From 7AM to 8PM today! 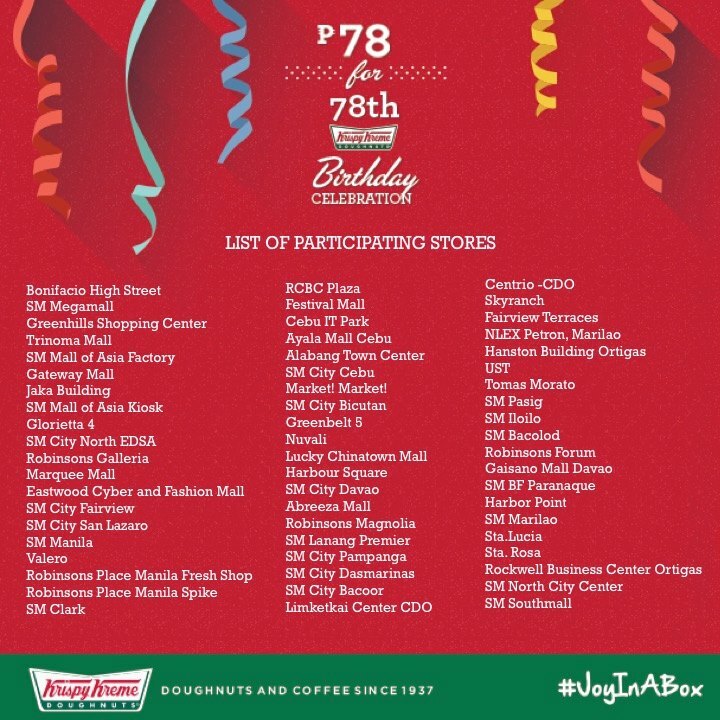 Here's a list of participating stores who are offering their birthday treat today. Head on to a participating store near you and check out this list!